First, I would like to give a shout out to Julia Reimer whom took many of the photos in this post. Photo credits are in the bottom-right corner. 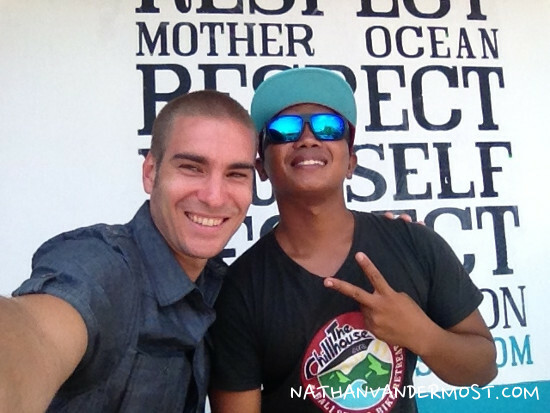 Thanks for sharing your awesome photos! 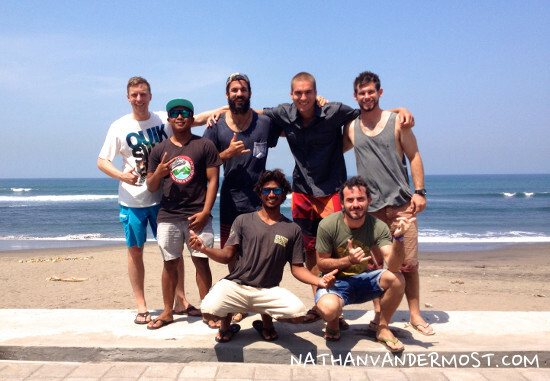 Before arriving to Canngu, Bali, I signed up for a two week surf course with the Chill house. 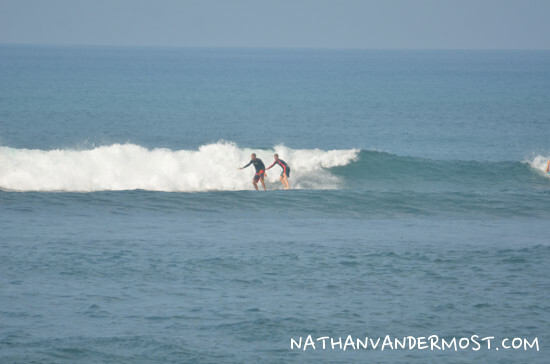 You can read about my first week in the post titled: Learning How To Surf In Bali. 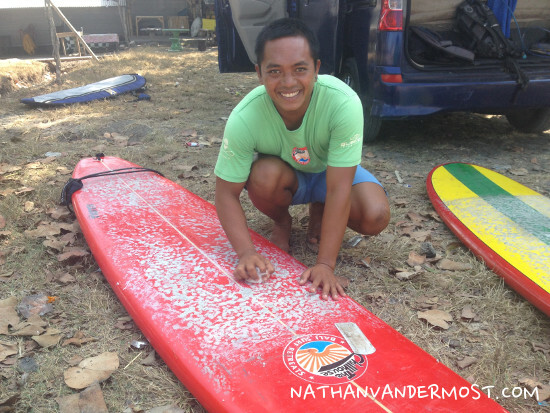 During the first week I got acquainted with my surf board and got comfortable being in the water. I spent time at an area known to locals as, “Old Mans.” It is a great place to learn but there are a lot of people to share the water with. 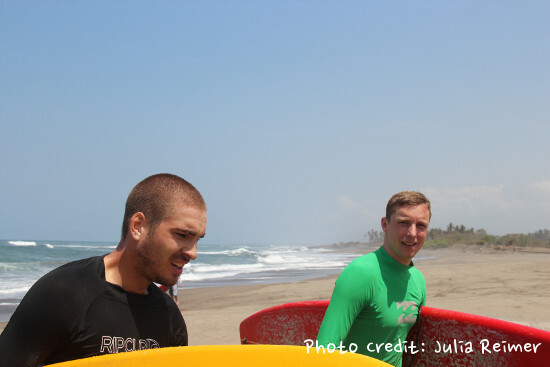 Everyone is waiting in the water together, scanning the horizon for the perfect wave. Then the wave comes and everyone is frantically trying to paddle in the same direction to catch it. Waves come in sets and the first wave in the set usually is the biggest. But, a good strategy is to wait for everyone else to catch the first wave or drown while attempting to and then you have less people to compete with for the remaining waves in that set. It can be really dangerous being in the water with many other people, with waves crashing while you try to control an 8ft foam board. 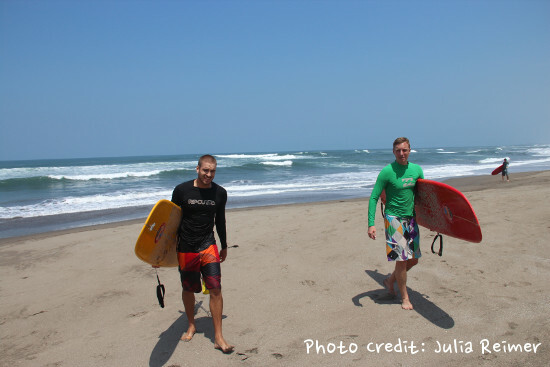 Although, most surfers wear a leash which attachs the board to their ankle. The board can still hit other people or the leash can break. Both scenarios are sub-optimal. 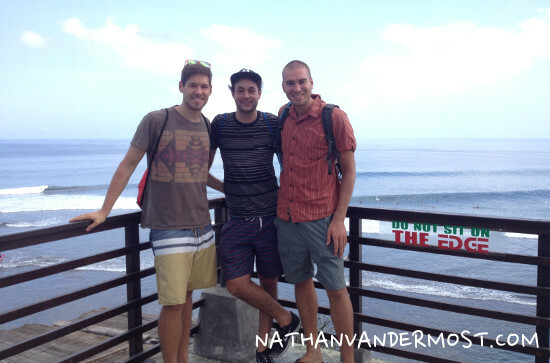 After spending everyday at Old Man’s during the first week, I was ready to explore different surfing spots in Canngu. 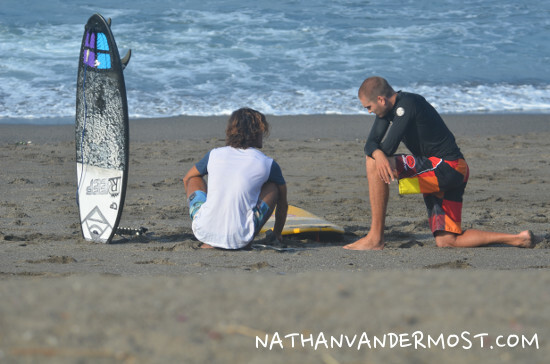 If I went surfing alone, I would not have the slightest idea of where I should go. 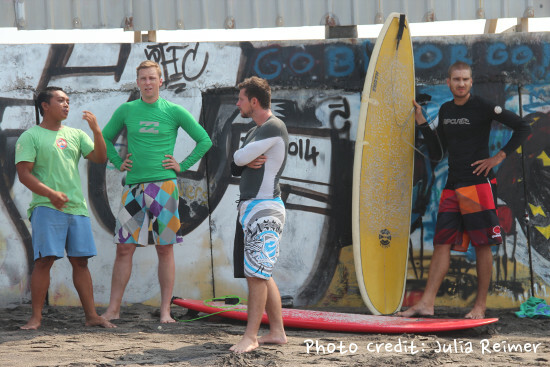 Fortunately, the surf school guides, being locals and having a lot of knowledge about surfing in the local area were able to suggest local places to check out. 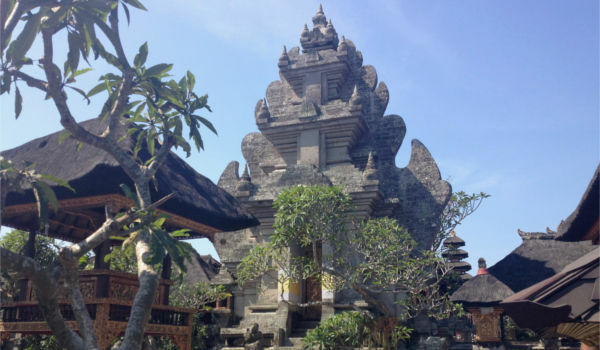 We started by visiting KDG which is an area that is about a 45 minute to 1 hour drive along the western coast from Old Man’s depending on traffic. 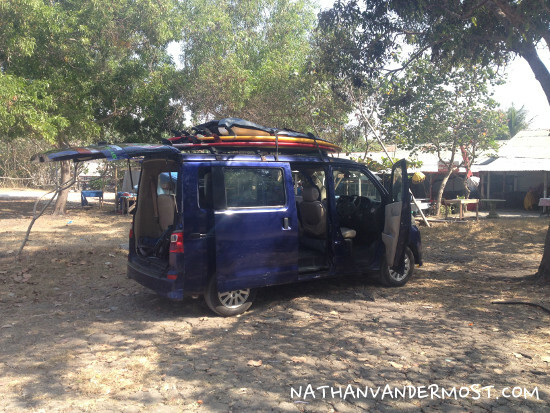 After loading the surf boards and loading up, we hit the road. As I have mentioned in earlier posts, the roads are crazy. 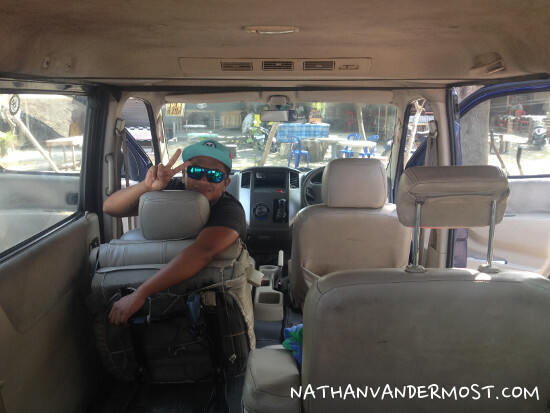 I am not sure what is worse, to sit in the back of a car or to dive on a motorbike. Regardless, our guides got us to KDG safely. As I got out of the car and looked toward the water, the waves were HUGE! “We are surfing those!”, I thought to myself. 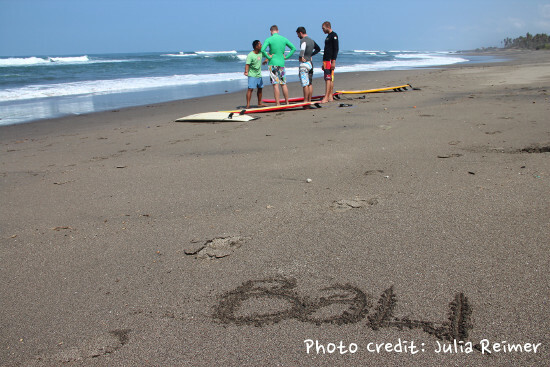 Yus, the name of my instructor and Balinese local grew up in a village very close to KDG and had surfed there many times before. I felt more confident knowing that I was going in the water with him. Since KDG is farther away, it is also more local. On our first day, we were the only ones there. Sweet. 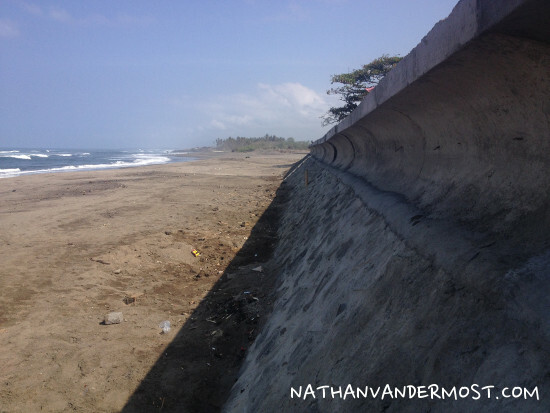 There is a tall cement wall that separates the sandy beach from the coastline as the sea level has been rising and eroding the earth. It is a cruel reality to the challenges that many coastal communities face around the world. Prior to getting in the water I walked my board to the beach and found a nice spot to lay it down. 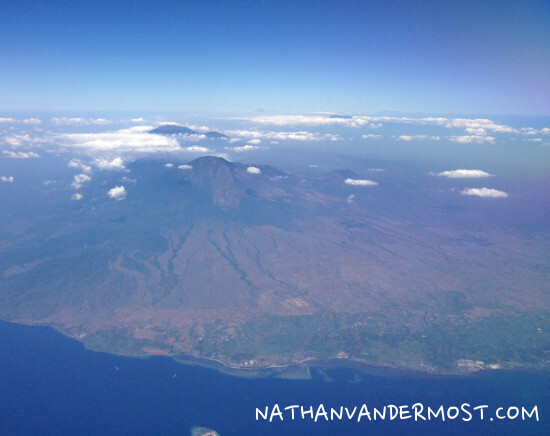 I gazed on the glittering ocean while feeling the warm breeze in my face. Dam. I feel really good right now. This is an indescribable moment. Yus, myself and the other students huddle to do some basic stretches and look for the current to aid in getting us out to sea. It is cold when you initially walk into the water but you quickly get over that feeling as you are trying to time the crashing surf for a break. 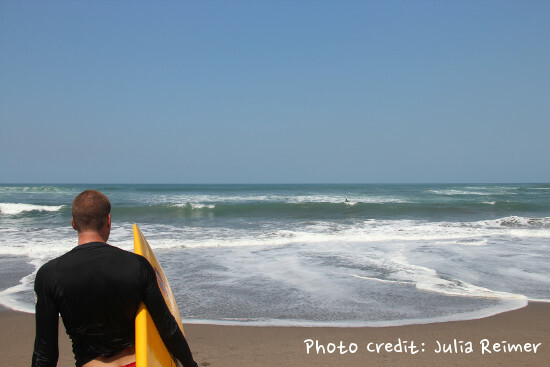 Once you see a break in the surf you take a few strides and lay on top of the board. Paddle! Once you start paddling, you get warm pretty quickly. 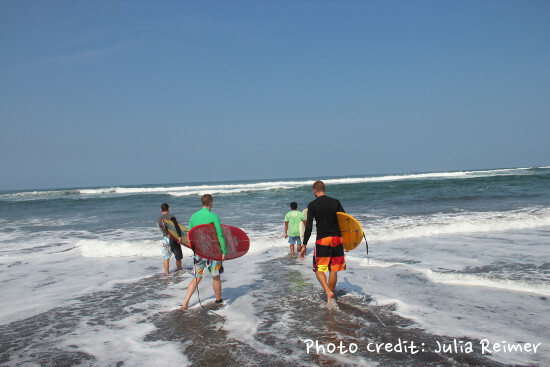 The next challenge before trying to catch waves is getting through the wave breaks. As if surfing was not hard enough already. 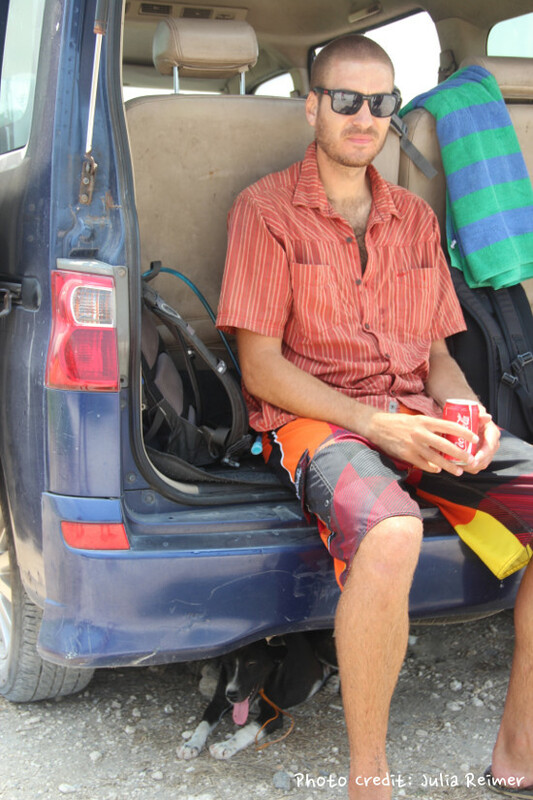 I am tired from paddling to the waves and I am getting constantly bombarded by 3-8 foot waves crashing on me. The trick to getting past the wave breaks is to dive deep beneath the wave while holding onto your leash so that you board does not get taken away. Finally, we are past the wave breaks. Whew. I have a chance to catch my breath while sitting and balancing on my board. I look out onto the sea and see big waves on the horizon. Depending on conditions and the time of year, KDG is BIG. I ended up surfing there three times during my two week course. 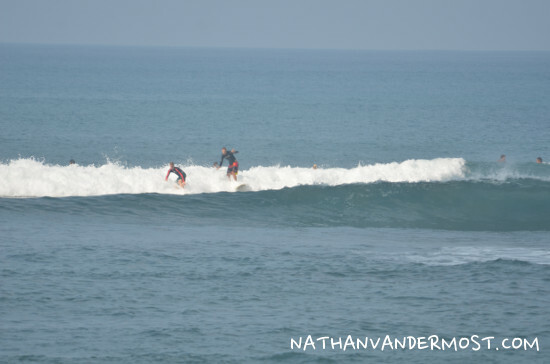 After I built up more confidence, KDG was an awesome place to surf but definitely challenged me physically and mentally. The next surf area that we went to was Echo Beach. It is to the right of Old Man’s when looking at the water. These waves are a little further out and take longer to paddle too. If you are there early enough, you can have a lot of the waves to yourself. 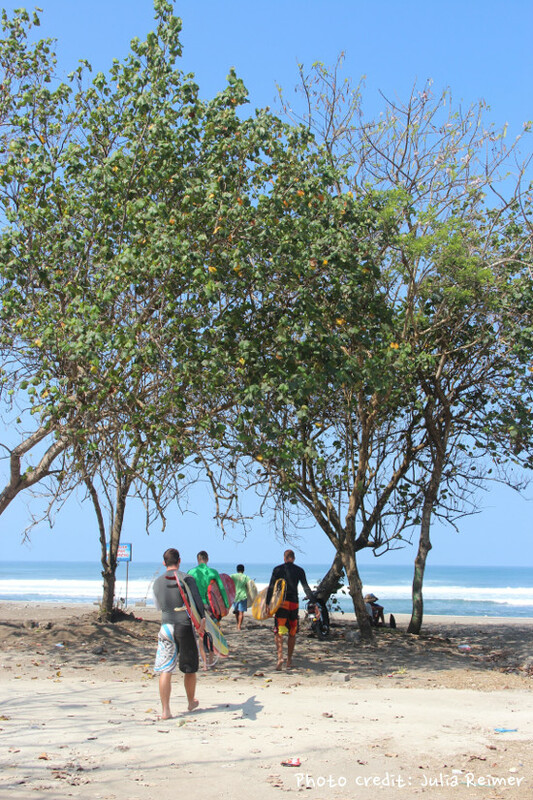 Echo Beach is for intermediate to advanced surfers depending on the conditions. Out of the three areas that I surfed at, Echo Beach was my favorite. 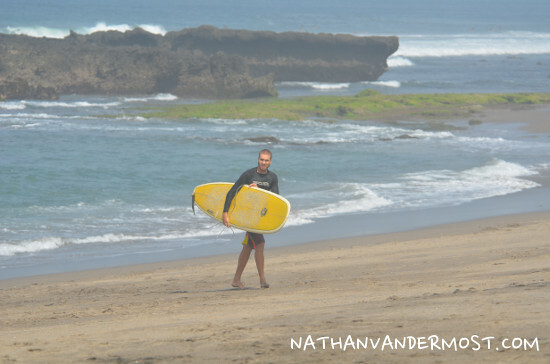 I favored Echo Beach because I caught my best waves here and because I was comfortable with the size and frequency of the waves. 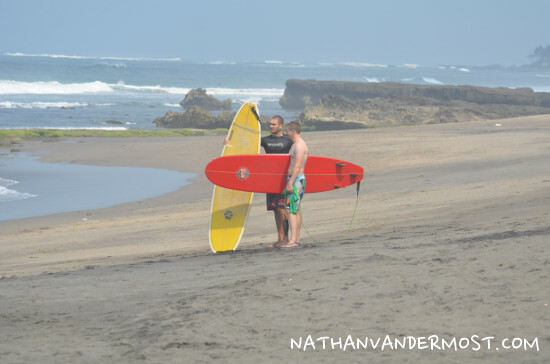 We always surfed in the morning but as the day progressed more people came out and it got pretty crowded. One important aspect to this area is that it is relatively shallow at low-tide. So, if you decide to check out the surf be sure to be there between high and mid-tide.